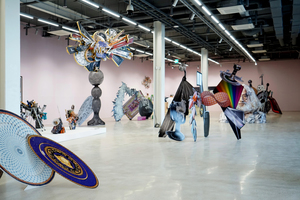 K Museum of Contemporary Art (KMCA) is proud to present This is Contemporary Art Museum: Everyone is an Artist, Everything is Art Part 2 exhibition. KMCA aims to become more open and accessible museum through exhibiting public-friendly artworks that are made based on materials and subjects easily found from everyday life. 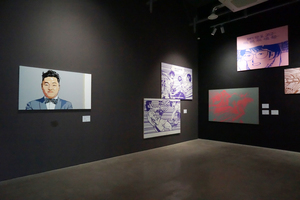 As part of its vision, KMCA features 25 pieces of photography and ‘photo-sculpture’ by Osang Gwon and 40 paintings by Dongi Lee on the fourth and fifth exhibition floors of the museum. Osang Gwon (b. 1974) restructures flat images of contemporary society that can be found everywhere into three dimensions, thereby spreading boundaries between the reality and images, images and sculpture. Having pioneered a new genre called ‘photo-sculpture, the artist prefers to experiment with light, everyday life objects including Styrofoam, wire and photographs rather than traditional materials of sculpture. 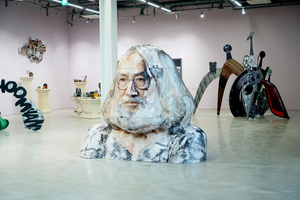 The current exhibition presents the artist’s representative series – Deodorant Type – which is consisted of isopink, a type of Styrofoam covered with photographs. The Flat series brings out the artist’s reinterpretation of traditional collage. The Sculpture series takes the modern object as the subject for traditional sculpture. Gwon’s recent work series called New Structure is inspired by Alexander Stirling Calder’s Stabile in its organic structure and sense of stability. In addition to New Structure, Relief series followed as a form of wooden relief arranged with a combination of images. Osang Gwon graduated from Hongik University with a B.F.A. and M.F.A. in sculpture. 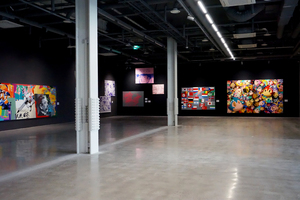 Gwon has participated in numerous solo and group exhibitions across the globe. Dongi Lee (b. 1967) has been working on expanding the definition of art by appropriating images from the mass media. Dongi Lee uses objects that are easily accessible to everyone, but because he does not define the meaning of the images, it is up to the audience to interpret for themselves and participate emotionally. Dongi Lee is well known for Atomaus series, which is a combination of ‘Atom,’ a cartoon character that represents Japan, and ‘Mickey Mouse.’ In this exhibition, KMCA presents all-inclusive series from the famous Atomaus to Eclectic, Soap Opera, Double Vision, and Abstraction. 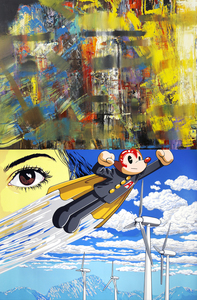 By painting various pop images collected from different kinds of mediums onto the canvas using basic painting techniques of fine art, the artist intends to blur the boundaries between high and low art against the ingrained elitism of fine art. Dongi Lee received his B.F.A. in painting from Hongik University of Fine Arts, and his M.F.A. in painting at the Graduate School of Hongik University. 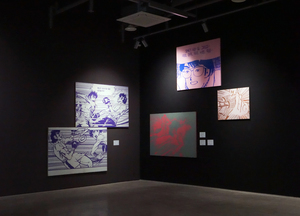 The artist is well recognized for standing at the frontier of Korean pop art because of his Atomaus series. 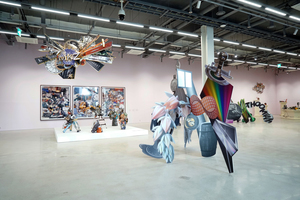 Lee has exhibited extensively in solo and group exhibitions in both national and international venues, leading the way of the diversity of contemporary art.